Only 4 days to go and you'll be able to purchase from the gorgeous new SEASONAL CATALOGUE from Stampin' Up! Once again they have produced an inspiring and beautiful catalogue that will have you writing Wish Lists a mile long. 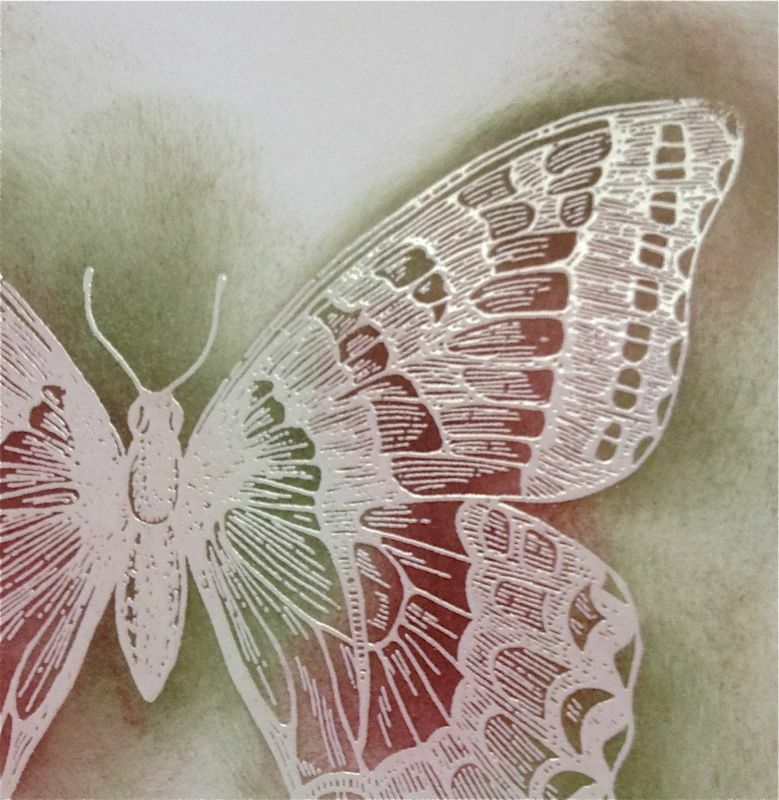 Today I have a sneak peek of one of the outstanding stamped images that feature in the Seasonal catalogue. As a demonstrator I am lucky to be able to purchase these products in advance - that is just one of the perks of being a Stampin' Up! Demonstrator. If you'd like information on some of the other benefits please take a look at my website and select the JOIN THE FUN button to learn more. If you prefer you can contact me by phone. And did I mention that our best promotion of the year is now active? That's right... SALE-A-BRATION 2013 is in full swing and you have the opportunity to get lots of free goodies. 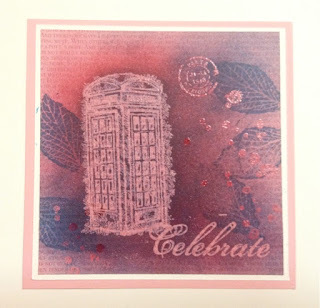 There are a couple of ways this can happen, but first a sneak peek of one of my favourite Sale-a-bration stamp sets. This stamp is from the Feeling Sentimental set and I've combined it with my favourite "French Foliage" stamp set from the Annual Catalogue. 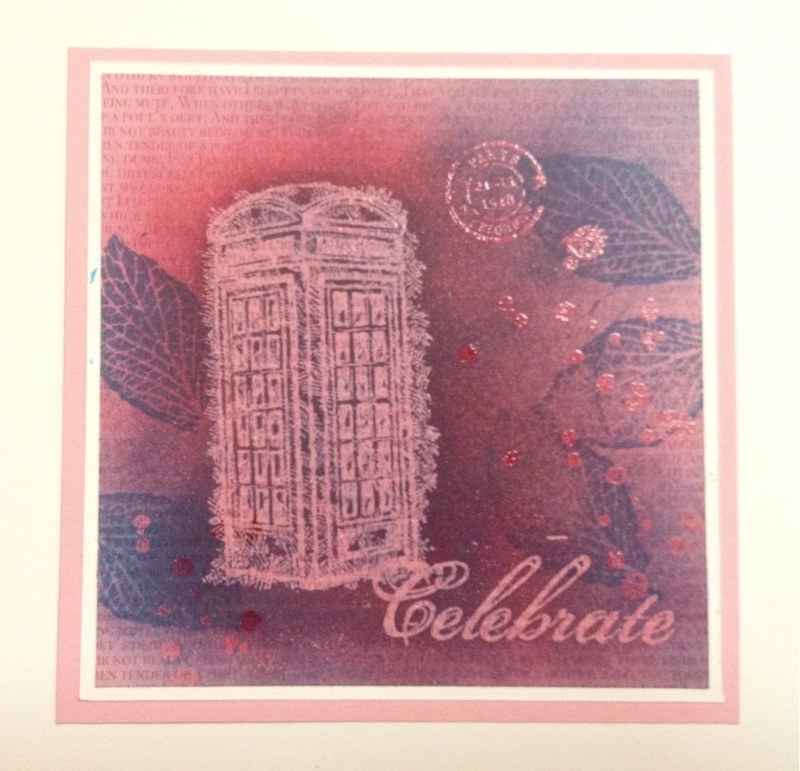 I used the emboss resist technique with sponging and over stamping. Back to you getting some freebies! 1. SHOP TIL YOU DROP! Order $100 of Stampin Up products from any of our current catalogues and you’ll earn a freebie – and there’s no limit! Do you have a long wish-list? hostess benefits – including $50 free product + a pack of Sliver Glimmer Paper to celebrate Stampin’ Up!’s 25th Anniversary. So take advantage of these offers now. Create your wish-list and contact me with your Sale-A-Bration order today! Sale-a-bration is the best time of the year to join up as you get additional benefits for the same price. Your fully customizable Starter Kit is normally just $169 for up to $235 worth of exclusive Stampin’ Up! products that YOU CHOOSE from any current catalogue. During Sale-A-Bration you’ll choose $294 worth! * Getting paid to have fun and do what you love! * Achieving exciting goals: for example – earning a once a year Grand Vacation all expenses paid trip for 2; fitting in your work (play) around important family time and achieving a work/life balance you desire; meeting amazing people who inspire you. * Paying for a holiday, some new furniture or other financial goal with your Stampin’ income. Are YOU ready to join right now? Questions? Simply email me or ph 0412 544 522 to have a chat with me personally.